This dish is a delicious and very quick way to enjoy fish.We first came up with dish for a bbq, we loved it so much we decided to try it under the grill and it was just as delicious. 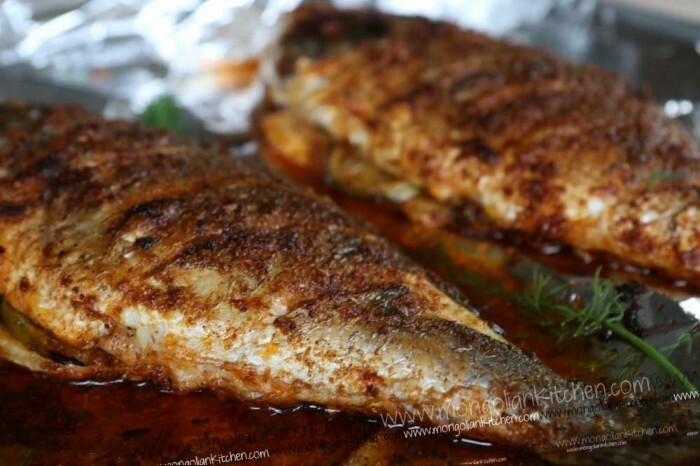 The key is to make the spice rub which consists of cumin, coriander and paprika and rub it all over the fish grill for 20 minutes and hay pressto you have a great meal. We served it with a simple tomato salad and tahini dip. Make the spice paste by combining the paprika, cumin, coriander, salt and pepper with the juice of half a lime and 2-3 tbsp olive oil to create a smooth paste. Prepare the fish by washing and patting dry, score the fish on both sides. Rub the spice paste all over the fish inside and out, making sure you get it inside the scored parts too. Roughly chop the dill and slice the lime. 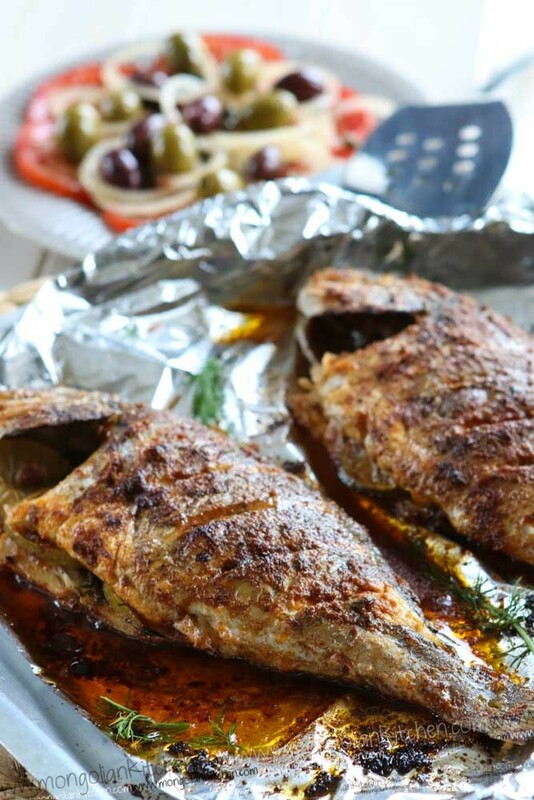 Add a few slices of lime and a sprinkle of dill inside each of the fish. 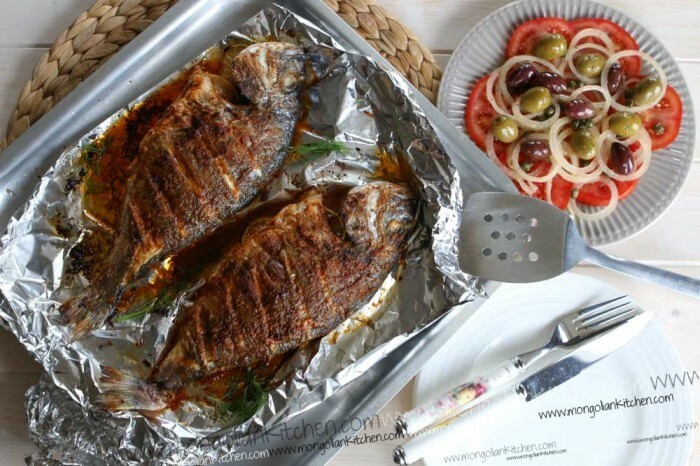 Line a tray with foil, place the fish on it and drizzle with a olive oil. Grill under a high heat for 5 minutes on each side and then finish cooking by baking it in the over at 180 degrees for a further 10 minutes until fully cooked.